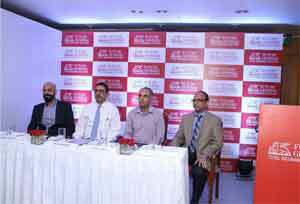 Future Generali India Life Insurance (FGLI), unveiled the findings of a national ‘Cancer Financial Preparedness Survey’ conducted in association with IPSOS, a leading global research firm. This unique and multidimensional study surveyed two different groups (1) People in the 25 & above age bracket across 11 major cities, and (2) 40 seasoned oncologists across key metro cities The objective of the research was to evaluate the awareness levels, the financial preparedness and gap between perception & reality of financial implications of cancer. Future Generali’s Cancer Financial Preparedness Survey also put into perspective the gap in perception and reality of the financial implications of this disease. Barring the cost of cancer treatment, most fail to take into consideration the additional monetary burden that ensues. The survey shows that the respondents were largely oblivious to the sustained financial challenges patients and their families may face in terms of loss of income, reduced earning capacity, cost of follow up treatment etc. thus plunging the family deeper into crisis.